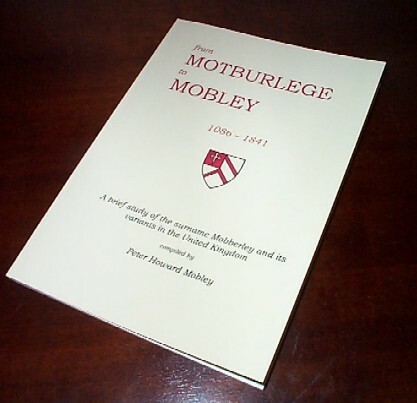 Today’s low frequency surnames in the UK include variants of the surname Mobberley, originating from the historic location of Mobberley north east of Knutsford in east Cheshire. Following the Norman Conquest, the Domesday Book of 1086 recorded the ancient meeting place (the moot burgh) as ‘Motburlege’ meaning ‘meeting place in the clearing’. The first element ‘mot’ is French for ‘word’ pronounced ‘Mo’, the first element of variants with a single ‘b’ also usually pronounced ‘Mo’ .The surname Mobberley is pronounced Mob-ber-ley. This book is based on notes made during my early years of research and contains a catalogue of names and dates up to 1841. My book contains 31 photographs, some of which have never been published before, and covers local geology and environment, early history and industry including a lengthy account of nailmaking. 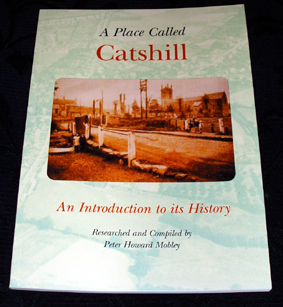 There is a mass of detail about Catshill’s chapels and churches, education and the old dialect, village road names, pubs and shops, a chapter on the Houseman family and much more. The Appendix includes the names of property owners listed in the 1690 Poll Tax, the 1837/8 Register of Electors, Principal traders in 1911 and nail makers of the early 1900’s. This limited edition is out of print but now available on CD. CD Price: £8.95 + £1.30 p&p.